According to the hottest S&P/Case-Shiller Home Prices Indices report, Metro Denver continues to be one of the top 4 leading U.S. markets for year-over-year home prices. The region saw an increase in sales costs of 8.2 percent in April from last year, subsequent annual profits of 8.4 percent in March and 8.5 percent in February. The 20-city typical gain in the year end in April has been 5.7 percent, along with the national average of 5.5 percent. As for monthly resale increases, Denver saw a 1.3 percent gain in April relative to the previous month, not seasonally adjusted, the same for March. 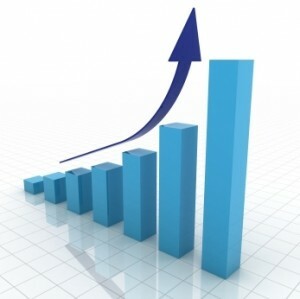 The 20 average monthly increase as well as the overally nationan-wide gain were 0.9 percent. Denver's Case-Shiller housing price index in April climbed to an all-time record of 196.69. That usually means that local house resale prices soared 96.69 percent greater than they had been at the benchmark month of January 2000. Nationally, average home-resale costs hit a record high for the 5th consecutive month the new report stated. The Case-Shiller index is compiled by comparing matched-price pairs for thousands of single-family homes in each market. This report used numbers from metro Denver covering a 10-county area: Adams, Arapahoe, Broomfield, Clear Creek, Denver, Douglas, Elbert, Gilpin, Jefferson and Park counties.